On a chilly, dark October night, 2,344 fans filled the hill at the soccer field, setting the attendance record for a men’s soccer game. 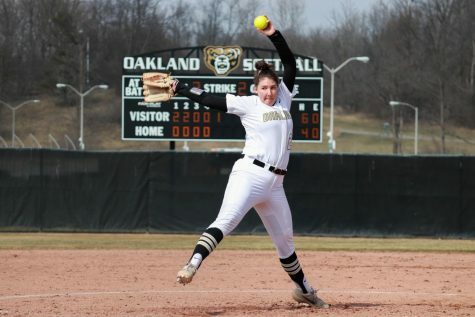 In a close match, the Golden Grizzlies fell to the visiting University of Michigan Wolverines, 2-1. It was announced at halftime that the previous record of around 2,100 fans has been surpassed, making the “Fill the Hill” promotion a successful one. The bleachers and hill were packed as the Wolverines, the No. 14 team in the nation, were visiting Rochester. Fans from both sides showed up to watch a game that was neck and neck for the first 44 minutes. With a full crowd watching, both teams played well defensively to begin the match. Michigan held the ball more, dominating the possession game, but Oakland was playing strong defense. Goalkeeper Sullivan Lauderdale dove to his left to stop a header in the top left corner with 21 minutes gone, keeping the game notched at 0-0. As the PA announcer gave the one-minute warning, Michigan was pushing the ball onto the Oakland side of the field. One of the Wolverine midfielders had the ball in the box and was knocked to the ground as he and the Oakland defender were battling. A penalty was called, and a penalty kick was awarded. The shot just got by Lauderdale, and Michigan took a 1-0 lead with 24 seconds remaining in the first half. This back and forth battle was something Pogue expected. Michigan carried that momentum into the second half, quickly getting a second goal off a deflection in the 58th minute. 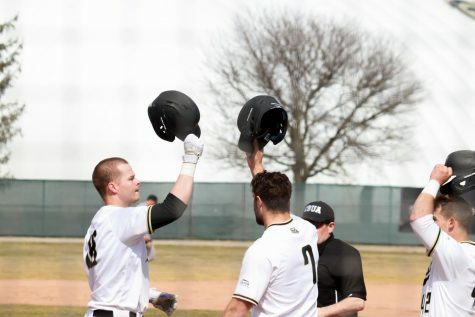 Despite the 2-0 deficit, the Golden Grizzlies were still on the attack. 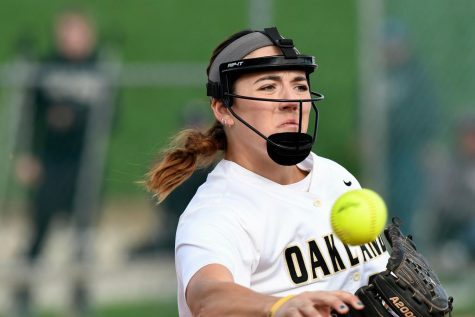 After 20 more minutes of scoreless play, Oakland found some space up the field to attack. Forward Napoleon Outlaw III hit forward Nebojsa Popovic in stride and Popovic put a ball in the bottom left corner of the net with 10 minutes remaining. 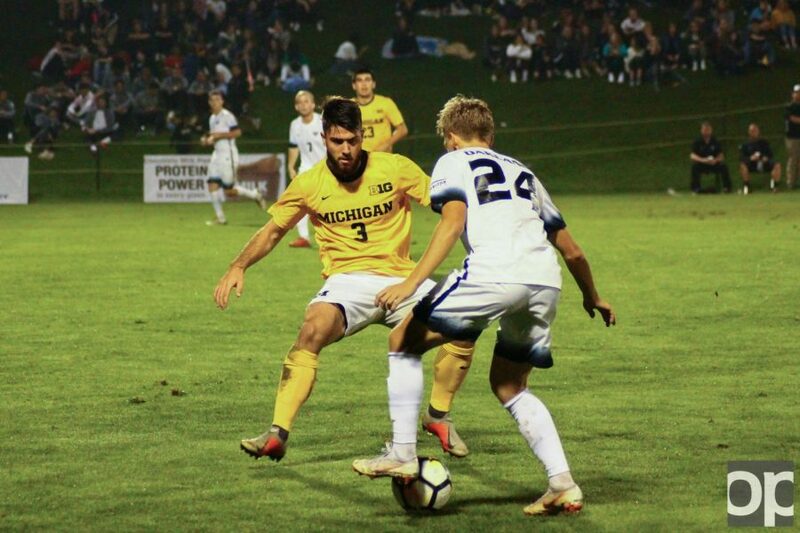 Michigan was able to keep the Golden Grizzly offense from scoring once more, and the match ended with the opposite score it did the year before, 2-1 Michigan. The men’s soccer team is back in action again on Saturday, Oct. 6 at 4 p.m. as they host Horizon League rival Northern Kentucky University.